Hearing loss causes a smaller listening bubble and reduces the amount of incidental language learning that a child will hear. It is said that about 80% of vocabulary is learned from overhearing – or incidental learning. Factor in the reality that it takes about 20,000 hours of listening before a child’s brain is ready to learn reading. 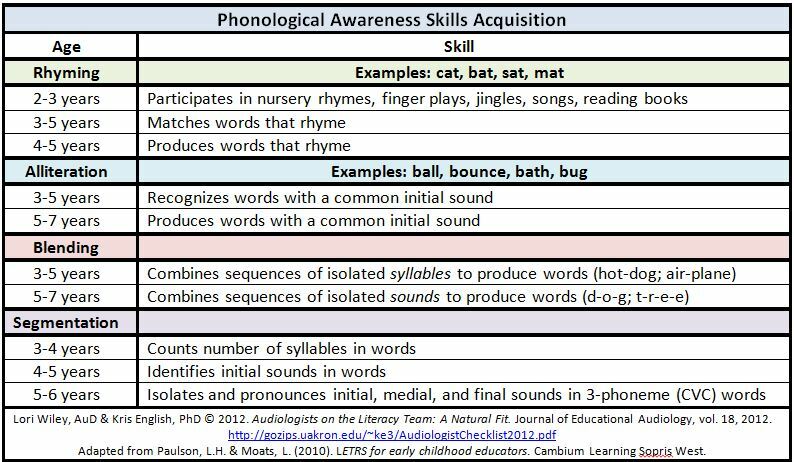 Together, these factors bring home the reality that children with hearing loss are often not ready to begin to learn to read at the same time as their age peers. Download the Getting Ready to Read handout with the charts from below. Click on image to view more clearly. What Are First-Grade Reading Skills? Reading skills are defined for each grade by the Department of Education. Note: All these skills rely on careful listening. Can Hearing Loss Affect These Reading Skills? YES! 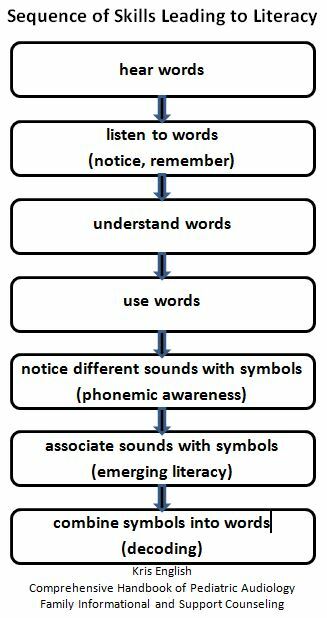 There is a direct connection between listening to speech and learning to read. The first skill in reading is learning to apply a sound (i.e., the B in Book) to a particular letter. This skill is called sound-letter association. 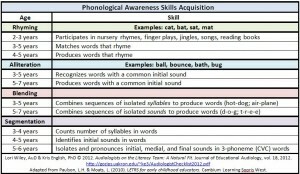 A child needs consistent auditory input for 5–6 years before the brain is ready to make the connection between letters of the alphabet and the sound associated with them. When children do not have that consistent input for 5–6 years, they are less ready to read and learn with their peers. Help your child hear speech all day with consistent amplification (hearing aids, implants, and FM systems). 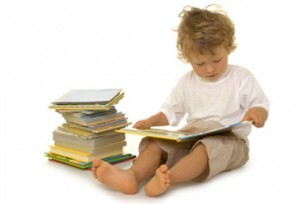 Help your child develop “text awareness” by pointing to words as well as pictures as you read books to your child. Talk about sounds in words. Change a letter in a word to create a word that rhymes. 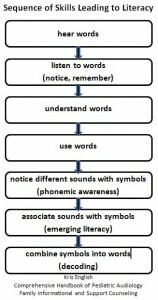 List words that start with the same sound as your child’s name (phonemic awareness). Talk about synonyms and antonyms. Help your child hear speech all day with consistent amplification.